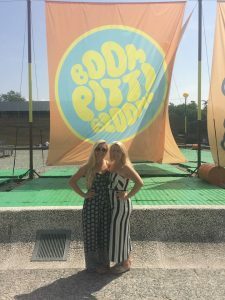 Erica studied abroad on Flair and Finesse in Florence: Exploring Italian Brands, Dept BUS program in Summer 2017. I am someone who believes that the best things in life happen when you are pushed out o f your comfort zone. Going alone to a foreign country would definitely check that box for many people. You gain intelligence in more ways than one, such as emotional, intellectual and experiential. These qualities make you grow as a person and see the world in a different way. You are put in situations that test you and force you to do something that you may have never done otherwise. One way I was pushed out of my comfort zone is in the realm of communication. I used to be one of the many who gets anxious over simple things such as making phone calls to people I don’t know. When you are in a foreign country you cannot be afraid to talk to people. It has made me a better communicator overall. Not only has my simple fear of phone calls been eliminated, but larger fears, such as public speaking, have been slightly eased. 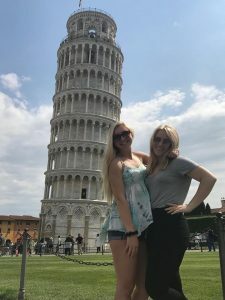 What concerns/fears did you have about studying abroad, and how did you overcome them? 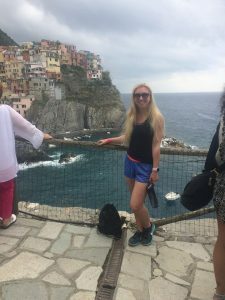 My biggest concern going abroad was being in a situation where I did not know what to do and I had no one to contact (keep in mind, your parents are in a different time zone). The way I got over this was by preparing for everything I did beforehand, whether it was leaving my apartment for dinner or going on an overnight excursion. You keep emergency contacts in your phone, typed and printed and try to memorize some. Print out maps beforehand, know what you want to do when you get to a city, you can NEVER be too prepared. H ow have you used the skills you learned abroad now that you are back; either in job searching, or in other activities? 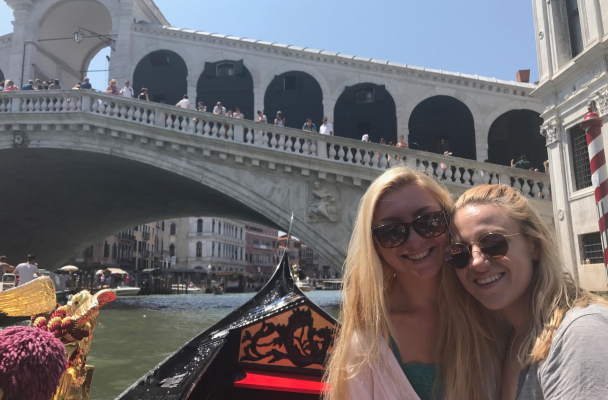 Studying abroad has made me more aware of other cultures and the influence they can have on America’s residents as well as the influence American’s can have on the culture of other places. I have been able to relate to more people since coming back as well as being able to understand how different cultures can influence the communication between two individuals. Relating to the answer to my first question, studying abroad helped my skill level of communication. Since I have come back I have been put in situations that would have previously made me uncomfortable, such as a job interview, and felt more at ease. I reminded myself that I had traveled around the world and I did well, a job interview would be easy. Pitti Uomo is the biggest men’s tradeshow, it is such an important event in menswear and has a huge impact on the future of men’s fashion. For both of my classes, attendance to the tradeshow was made available. It was the most amazing experience to get to talk to the designers and see the different designs coming together and seeing where the vision came from. We were able to walk around and see the vast amount of merchandise offered that have the opportunity to be featured in stores next year. My marketing major has a focus in merchandising and this experience solidified that I wanted to be doing this line of work once I graduate. 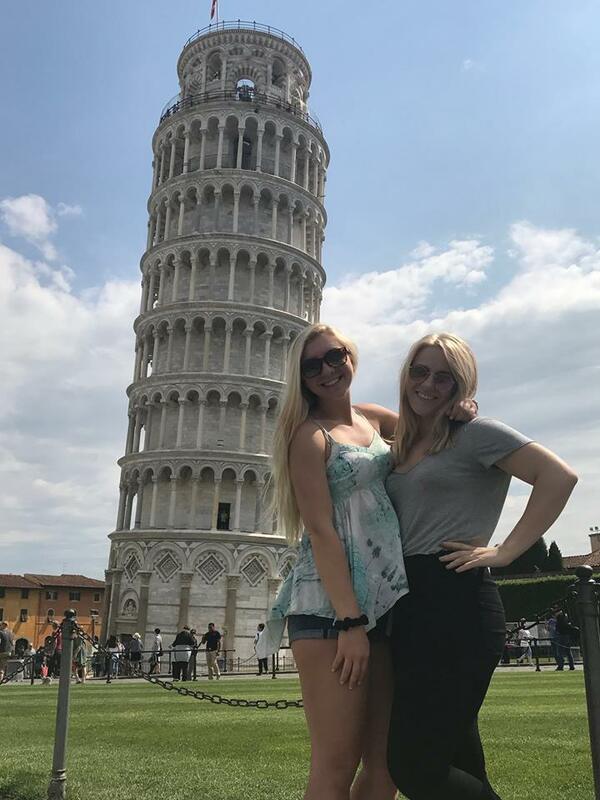 What advice would you give to outbound study abroad students to help them make the most out of their study abroad experiences? Do research on things you want to do, places you want to see and go before you get there so you have an idea! However, know that your plans will change when you hear about other opportunities and make friends who want to go places too. Keep your mind open to everything! Walk down a random street and get lost (safely, with other people of course), try a cuisine you would have never thought to try. Try to talk to someone new. Actually pay attention in your classes, you are incredibly fortunate for the education you are receiving abroad. Lastly, while you should be experiencing life to the fullest, watch your budget!